Langtang Jugal Himal trekking is less touristy trekking in Langtang region. Jugal Himal trekking offer beautiful Himalayan views of Dorje Lakpa, Gaurishanker, Dorje Lakpa, Madiya and Phurbi Chhyachu. Jugal, beautiful landscape , Mixed culture ,Tibetan monasteries etc. 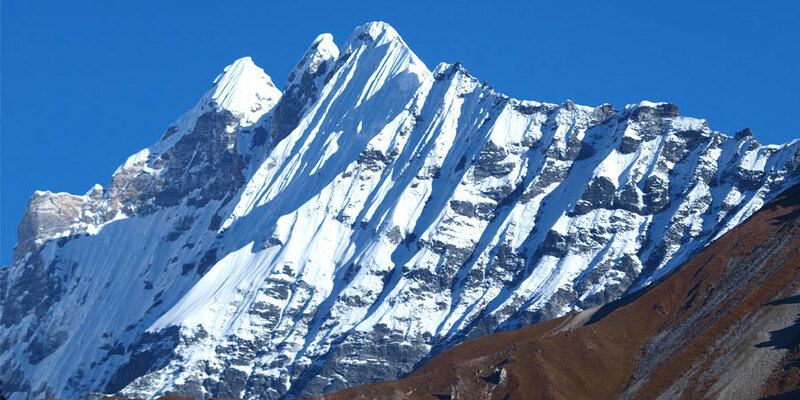 Jugal Himal trek take you heart of the Langtang , Gaurishanker & Rolwaling Himalayan range. Jugal Himal lies to the north east of Katmandu. Jugal Himalaya area has high crossing passes, Superb mountain view, picturesque village, deep forests with beautiful Panch Pokhari and Bhairab Kunda lake, impressive display of wild flower, an abundance of wild life and of course friendly local people.. Jugal Himal is the nearest mountain to the northeast from Katmandu. Jugal Himal trekking is marvelous trek through remote traditional Tamang villages and luxuriant forests. Langtang Jugal Himal trekking begins at Melamchi Pul bazaar after 4-5 hours drive from Katmandu . Himalaya Journey Trekking guide led through the beautiful valley Kakani Sermathang Yangri Khola panch pokhari Bherikhara Hile Okrin then drive back to Katmandu. . Then we ascend a series terraced and forested ridges. The trek towards the holy lakes named, "Panch Pokhari" (five lakes), situated at 14,000 ft., is its another breathtaking attraction. Enjoy the tranquility of trails that offer superb mountain views, green Himalayan ranges, and running rivers with water falls. Only a few camping trekkers visit here, because lodge or other shelter facilities are not available. Jugal Himal Trekking is special for trekkers who would prefer not to meet many other tourists or spend time in crowded villages. Day 01: Arrival in kathmandu 1334m, Himalaya Journey Treks & Expeditionâ€™s representative will transfer to hotel , Jugal Himal trekking briefing with officially arrangements. overnight at Kathmandu. Day 16: After breakfast, Relaxing/shopping with own activities ,Himalaya Journey Treks & Expedition's representative will drop to Kathmandu international airport for onward destination.